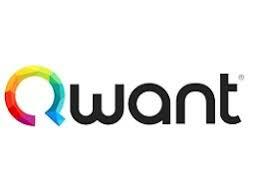 Launched in 2013, French-based search engine Qwant markets itself as a privacy-friendly service. Currently one of the top 50 most-visited sites in France, the service claims not track its users, unlike competitors such as Google. It also differs from the world’s leading search engine in other ways too, most notably in its support of one of Europe’s most controversial legislative proposals in recent times. In an interview published in French publication Les Echos (paywall), Qwant founder and boss Éric Leandri says his company is actually in favor of the EU’s Copyright Directive passing next week. On Article 11 (which opponents refer to as the ‘link tax’), Leandri told the publication that the current text is “the only chance” for press publishers to receive remuneration from US giants, including Google, who use such content without paying publishers “a cent”. On Article 13 (‘censorship machines’ / ‘upload filters’), Leandri acknowledges that the text “is not perfect” but still wants it to pass, since he believes there is a way to make it compatible with the values of an open Internet. “We consider, that besides the editors of press and journalists, the world of culture and creation must be justly paid,” Leandri says. Leandri also highlights problems with not only the expense of creating a system similar to YouTube’s Content ID, but also the fear that smaller platforms will be driven to companies like Google and Facebook for their filtering solutions. This would allow the giants to collect even more data on Internet users and monitor the business activities of rivals. So why the surprising support for the Copyright Directive? “The modalities of application of this article are to be discussed and transposed in each country. We propose, at this stage, to condition the directive with the setting up of a free and open public platform in which the authors, the photographers, in short all the players, would deposit their photographs, videos and texts,” Leandri explains. While this kind of system could perhaps go some way to calming fears over the creation of an “upload filter oligopoly” as described recently by Germany’s Federal Commissioner for Data Protection and Freedom of Information, Leandri’s plan doesn’t appear to address a key and fundamental issue. A database of content – whether it’s stored within YouTube’s systems or elsewhere – does not have the ability to differentiate when copyrighted content is used legally, for “parody, satire, reporting or criticism purposes”, for example. And the quote above is indeed just that – and it came from Qwant itself – dug up by TF on the company’s blog. In a commentary published last year warning against Article 13 and titled “Putting our freedom of speech into the hands of robots”, the piece warns that automated systems can indeed hinder freedom of expression. “We believe that when they rely on platforms to express themselves, citizens should be free to use content that they feel is needed to support their point of view, provided that this use is proportionate,” the article reads. “This puts a heavy burden on robots that can’t determine when a human being is making a proportionate and legal use of a third-party content, for instance for parody, satire, reporting or criticism purposes. “Putting our freedom of speech into the hands of robots that will look into what human beings share and assess the legality of what they say is not the Internet we want for our children. So while we understand the need for efficient protection of copyright, we believe the proposed path is not one to follow,” the company added. While the idea of an external database is novel, Leandri’s solution doesn’t address the company’s own fears over Article 13, let alone those of the public. TF asked Qwant how these seemingly opposing views can be consolidated but at the time of publication, we were yet to hear back. However, Leandri is also proposing something else. He says his company will lead the way by committing right now to paying creators a fair price for any works utilized by his company, whether the Directive passes or not. “[T]o prove to you how much I support this directive, I announce to you that, without even waiting for its vote, Qwant will start to pay the editors of content, so the newspapers for the texts, the photographers for the photos, and the video and music publishers that our search engine indexes,” Leandri concludes. Proponents of Article 13 are already praising Qwant on social media for its support of the Copyright Directive but the apparent conflict may yet prove an irritant to users of its service, who value its stated open Internet stance.